Invoicing a project is a process you can carry out partially overtime or once-off for the hours you've spent on it. 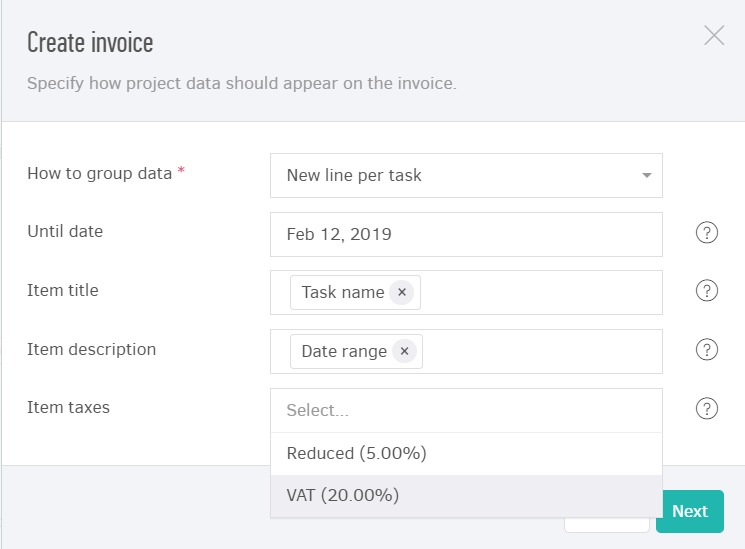 In order to invoice a project, you just select the desired one from the Projects menu and click on Invoice Project. Before Elorus creates the relevant document, you are required to select certain preferences regarding the appearance of the data in the final document. New line per task: Every task that has time entries for this project will appear separately along with the sum of hours spent on it. New line item per assignee: Each assignee's sum of time entries will appear as a line inside the document. New item per description: Each description will appear as a line inside the document. If more than one of the time entries share the same description, their totals will be summed in one line. New item per task and description (combined): Each line will be formed of a task along with its description. If a task consists of time entries with of the same task and different descriptions, the task will appear in as many lines as said descriptions. Time entries that make part of the same task and share the same description will be combined – and form one line in the document. New line per time entry: Each time entry will be one line in the document. 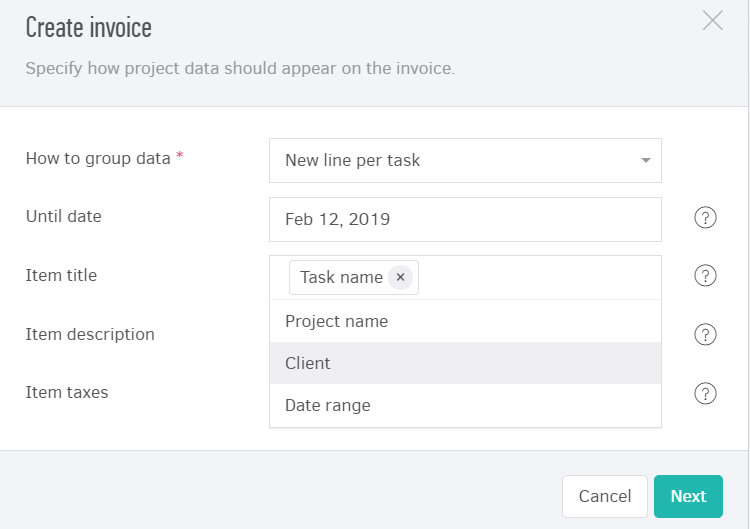 Single item line: Elorus will group all of the time records regardless of assignee and task, and will calculate the cost in bulk. This sets Elorus to include time entries with a start date up to and including the one you select here. 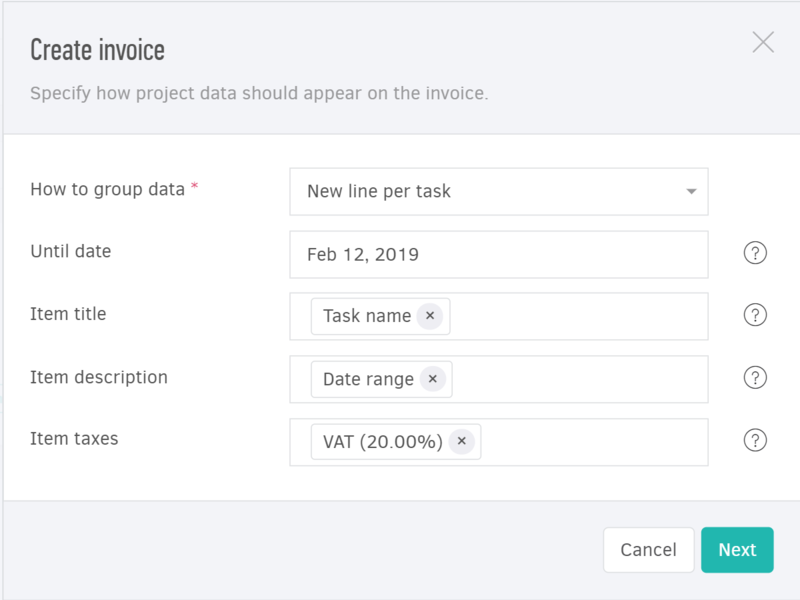 In the image below, for example, the application will invoice projects that began on February 12, 2019 and prior to this date. The next step is to decide what will appear as a title on each line of the document to be created. The title field will be predefined by Elorus depending on the information you have entered so far for each option. In the next step you can change it if you want. From the Item description field, you specify what will appear as a description on each line of the document. The description field will be predefined by Elorus depending on the information you have entered for each option. In the next step you can change it if you want. Finally, you can choose a VAT rate or tax that will apply on each line of the document. You can choose more than one taxes if you want and all will be applied to each line of the document to be created. Click Next you will be transferred to the invoice edit page, from which you can make changes concerning the final document. On the document's edit page, you can edit all of its fields except those of Project and the values. As you can see in the picture below, these fields are disabled. If you want to remove an item line, you can do so from X to the right. You can also add new lines to the document from the Add New button located at the bottom-left of the products / services table. Once you click on Save as Issued, Elorus will create the document. 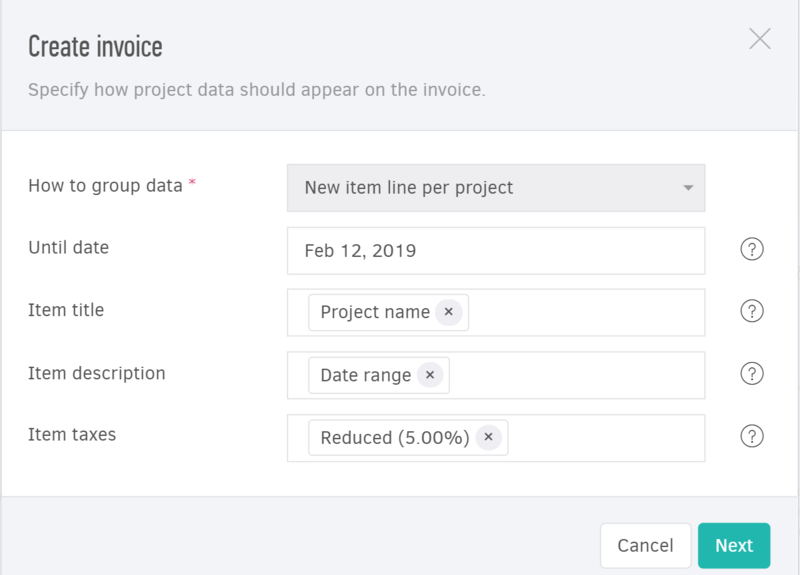 If there is more than one project for a customer, you can invoice them all into a single document through the contact page. 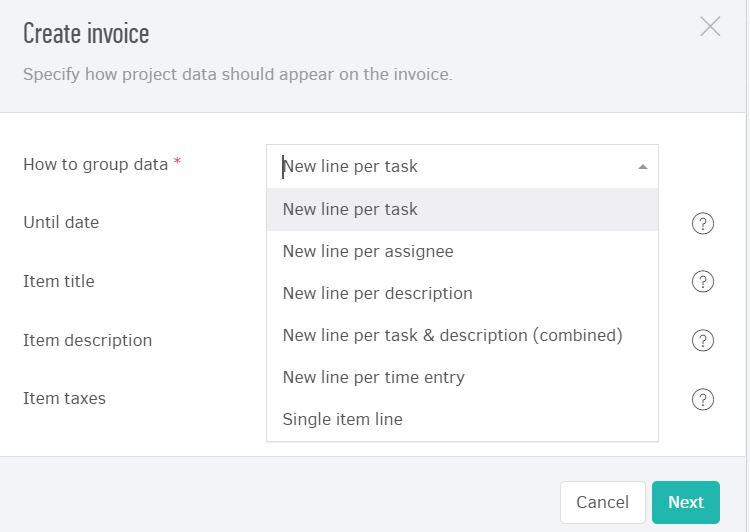 From the Contacts menu, enter the desired one, click on (...) and then click "Invoice unbilled projects". A window will appear, where you can choose how the data will appear on the invoice. 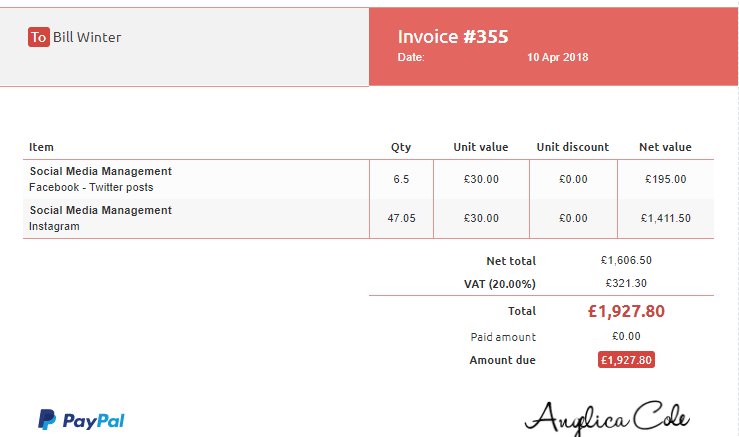 Clicking Next will take you to the invoice edit page, where you can finalize the document. 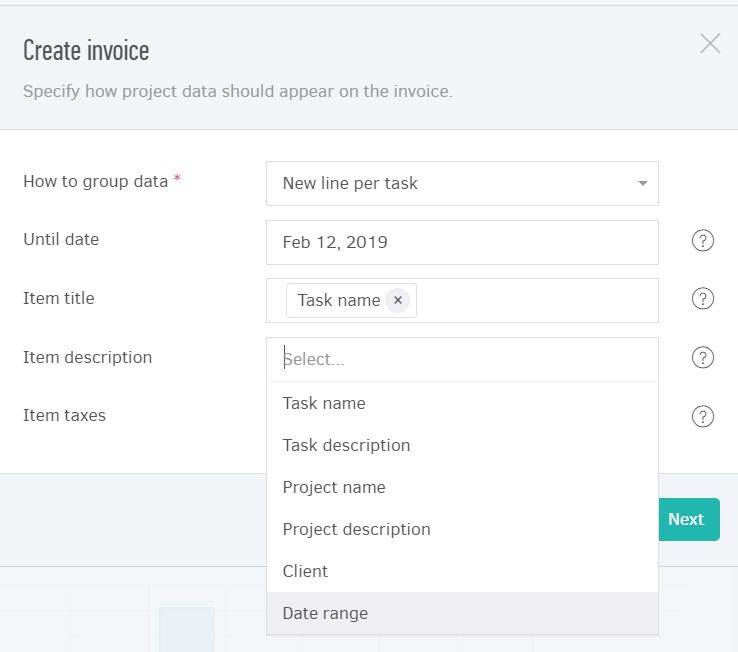 If, for example, the customer has 5 projects but you want to bill the time entries of 3 of them, you can tap the X on each project's line and remove it from the document.